Blending near-silent fabric with ThinsulateTM Platinum Insulation and movement-enhancing features, our Silent Adrenaline gear is a sure bet for stealth and comfort in the field! 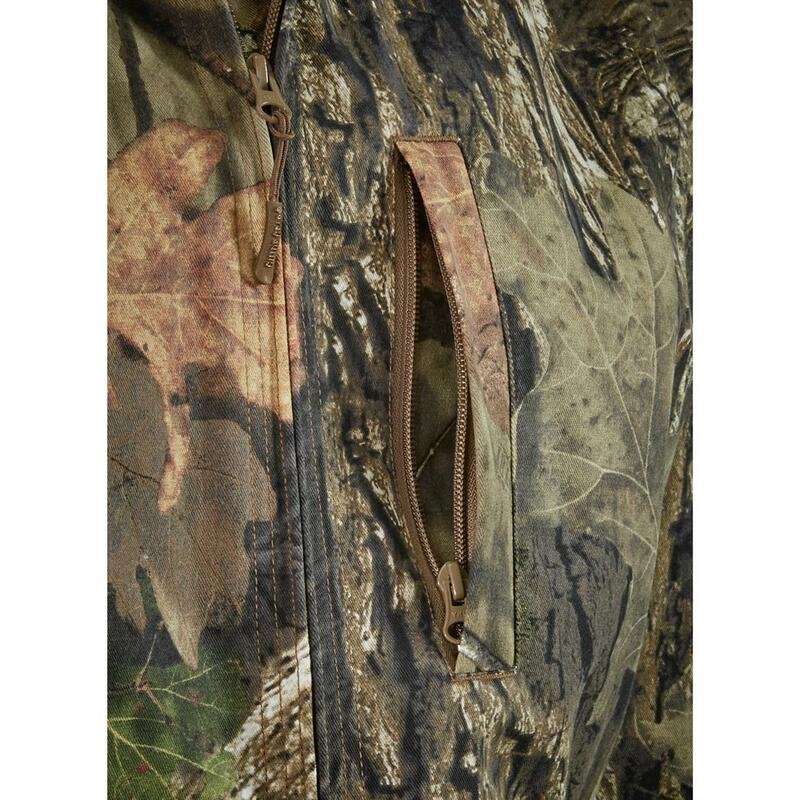 The cotton/polyester-blend fabric is durable and deadly quiet, so you can twist, crouch, climb, or draw your bow without giving your position away. The fabric is DWR, Durable Water Repellent-treated, so rain just rolls right off. Plus, it features ThinsulateTM Platinum Insulation that goes beyond standard insulation, offering better warmth-to-weight ratio, better feel, and naturally hydrophobic fibers that work -- even when wet! We left no stone unturned in making sure our Silent Adrenaline gear was loaded with everything you need. We added a bi-swing back that greatly enhances range-of-motion. High neck for added coverage. Adjustable 3-pc. hood. All the good stuff to make your hunt great! 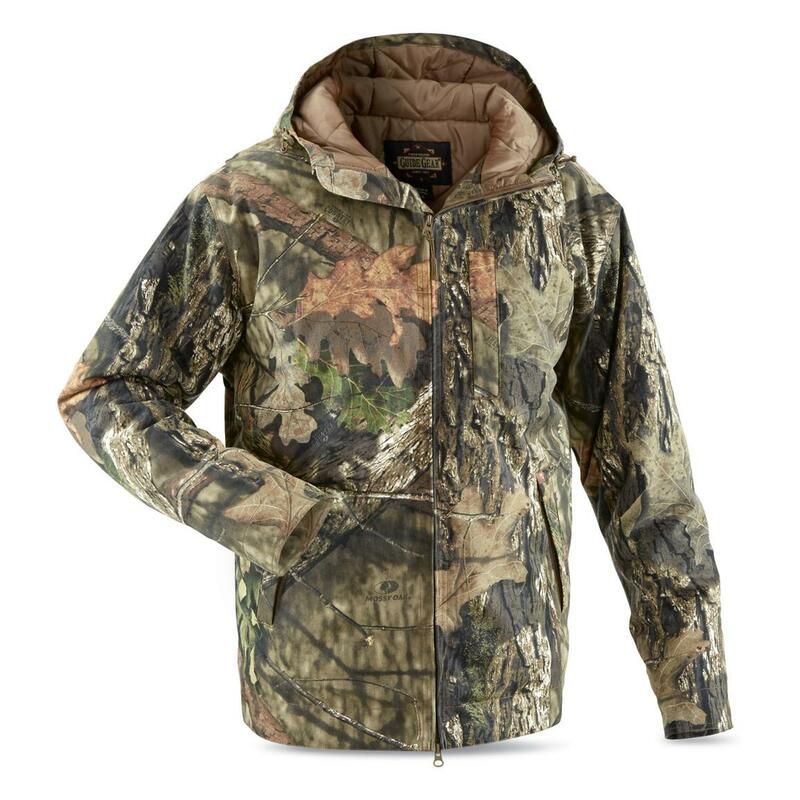 Guide Gear Mens Insulated Silent Adrenaline Hunting Jacket is rated 5.0 out of 5 by 9. 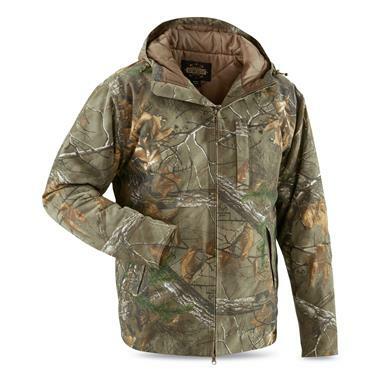 Rated 5 out of 5 by Bayoudisaster from Great Jacket This jacket is incredible in the cold. I've stayed warm without thermals while hunting. Rated 5 out of 5 by M J D from Primo Wore this coat visiting a friend in the Yukon. It was in the teens (Fahrenheit) all week. Coat kept me warm. The shell is relatively thick. 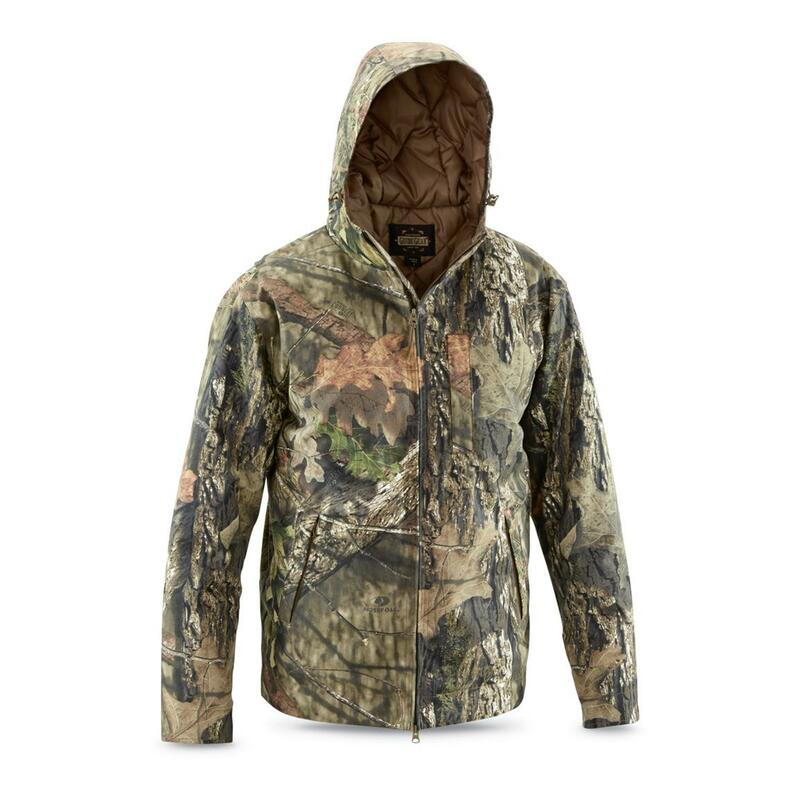 The hood provides good coverage while still letting you see alright. Well worth what I paid. Rated 5 out of 5 by Deadeyedaniel from Great price on a great coat! Just recieved this coat and tried it on and it fits and feels great. I'm 6 foot and 185lbs. I bought the large and there's plenty of room for more layers to put on underneath the coat. I put one of the sleeves in the sink and turned the water on and it runs right off!!!! There are two zipper pockets on the inside that I did not see listed which is a big plus!I plan on using this coat for bow hunting. The outer shell of coat is soft and quite.The hood is attached which will eliminate the rain from going down the back of your neck.This a great coat for the price! Rated 5 out of 5 by Shaun from A nice jacket The quality of this jacket is great. The fit is good and comparable to something you would find in a name brand. The hood is great and not too short like many other coats I have had. With the matching bibs under it the chest and back are plenty warm in sub zero temps but my arms started getting a little cold given I was only wearing one fleece base layer under them and if I hadn't been testing their warmth I would normally wear several considering it was -17 F with the wind chill. S.G if you could put a little more insulation in the sleeves these would be perfect but for the price I highly doubt you could beat them. Rated 5 out of 5 by swanson from great deal ! I bought these on sale, they had no reviews so I took a chance and glad I did , just used them tonight to work on my car, it was 15 degrees with a 14 mph wind, I spent 90 minutes out side, these kept me plenty warm! great deal for the price ! Rated 5 out of 5 by Jerome from If you missed the sale, you missed an outright STEAL! This jacket is the kind you see for $100+. Extremely well made, good looking and warm without being overly bulky. I love how quiet the fabric is--perfect for this bow hunter. I am blown away by the quality. 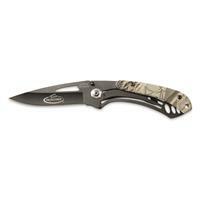 My buddy commented on it when we hunted over the weekend in sub-freezing weather, so I bought him one for Christmas.